Watch as Pastor Brian interviews a familiar face, on her turf, and be inspired as she discusses how she uses her faith at work. Enjoy (and share)! A blessed day to you all! Being around kids can be exhilarating, surprising, fun, and incredibly rewarding. Yet it can also be exhausting, monotonous, frustrating, and down right challenging. For this week’s Glory Minute, click on the link below to hear a conversation a few of us had about how our church is resourcing parents, Grandparents, and all who have influence on children in really practical and neat ways. And what we’re pointing you to helps us both embrace the beautiful moments, and gain perspective on the less-than-beautiful! 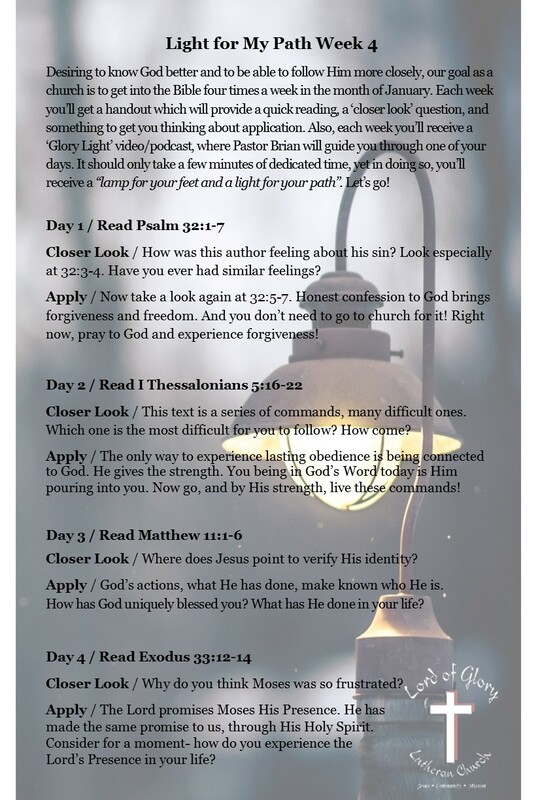 Join Pastor Brian as he walks through Light for my Path, week 4, day 4. Exodus 33:12-14 Be sure to watch all the way to the end! 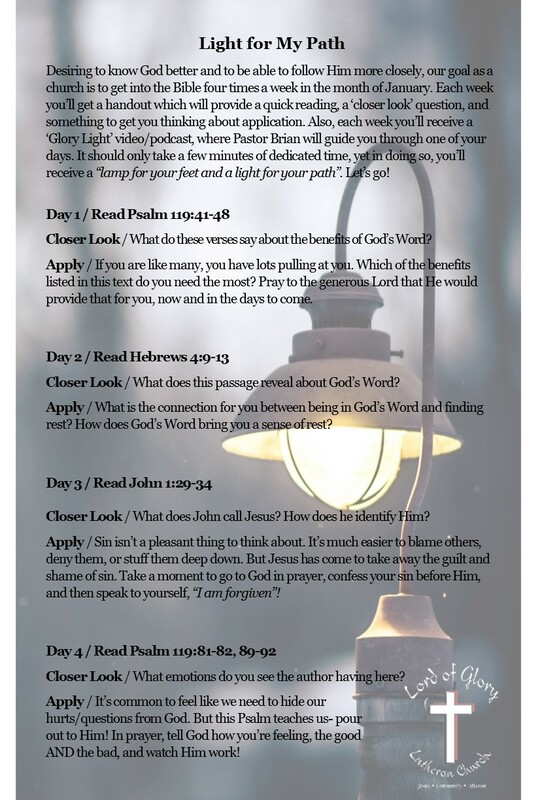 Here is the link to this week’s Light for My Path—this week it is a video! 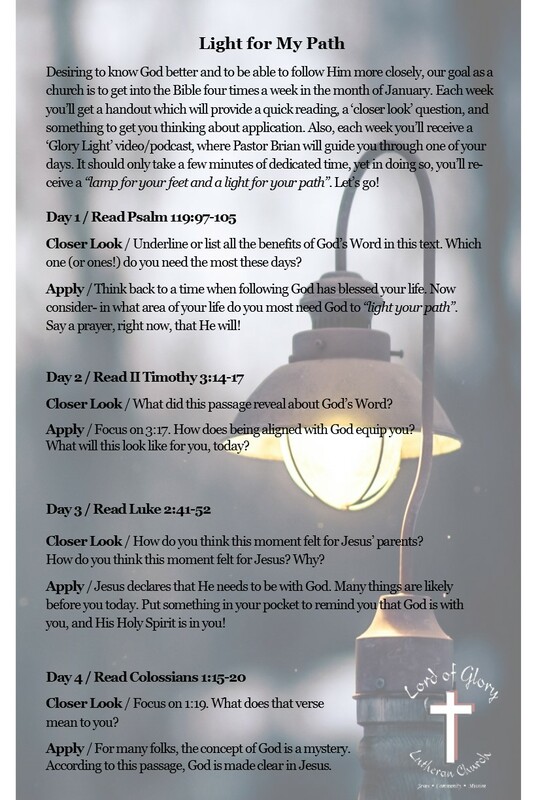 This is a chance for you to take a break with Pastor Brian and God’s Word and be strengthened for your day. Give it a shot and let us know what you think! 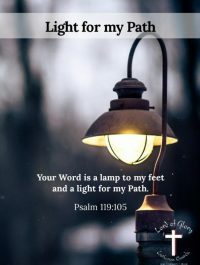 Here it is—the first podcast for Light for My Path! This is a chance for you to take a break with Pastor Brian and God’s Word and be strengthened for your day. Give it a shot and let us know what you think!